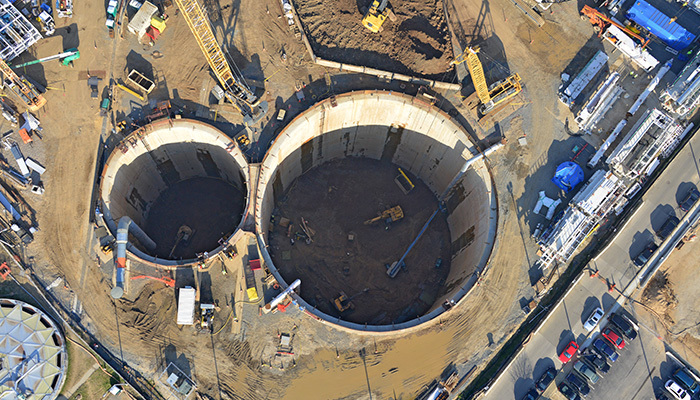 The Division A – Blue Plains Tunnel project is the first project of District of Columbia Water and Sewer Authority’s (DC Water) Long Term Control Plan (LTCP) for the District’s combined sewer system. 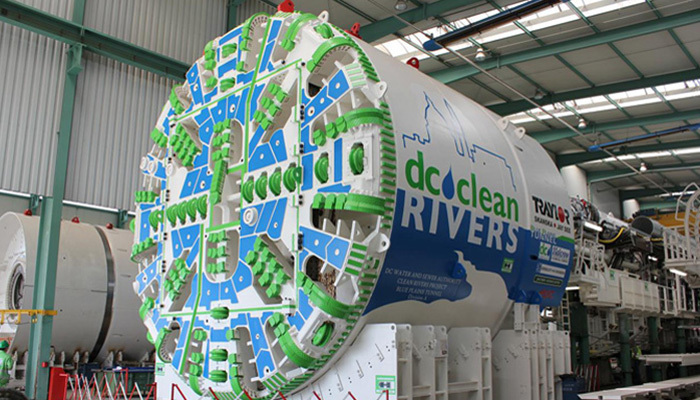 The LTCP comprises a system of tunnels and diversion sewers for the capture of combined sewer overflows (CSOs) to Rock Creek and the Anacostia and Potomac rivers for treatment at DC Water’s Blue Plains Advanced Wastewater Treatment Plant (BPAWWTP). 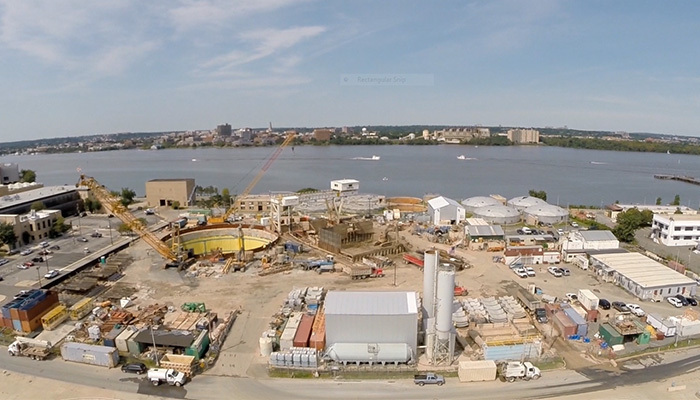 Once the LTCP is complete it will reduce CSOs annually by 96 percent throughout the system and by 98 percent for the Anacostia River alone. 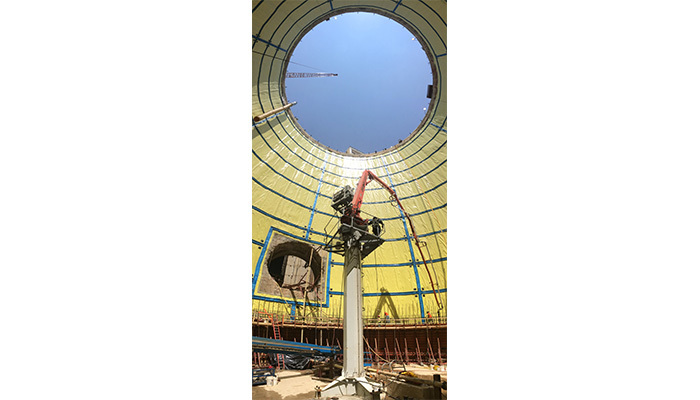 The scope of the project includes 24,300 ft. of 23 ft. diameter precast concrete segment tunnel and 5 main structures in excess of 50 ft. diameter. 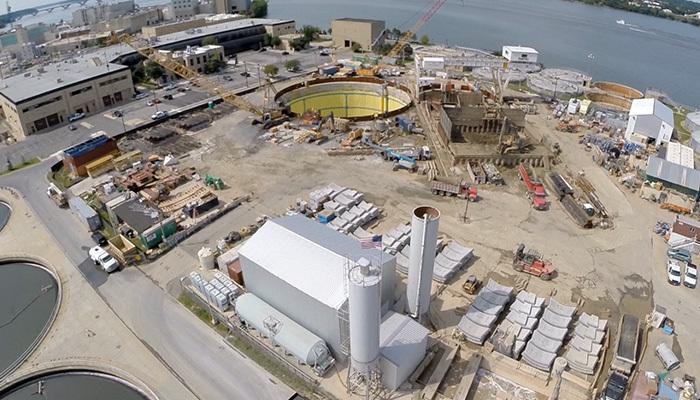 The challenging ground conditions including a high water table require the use of diaphragm walls for ground support. 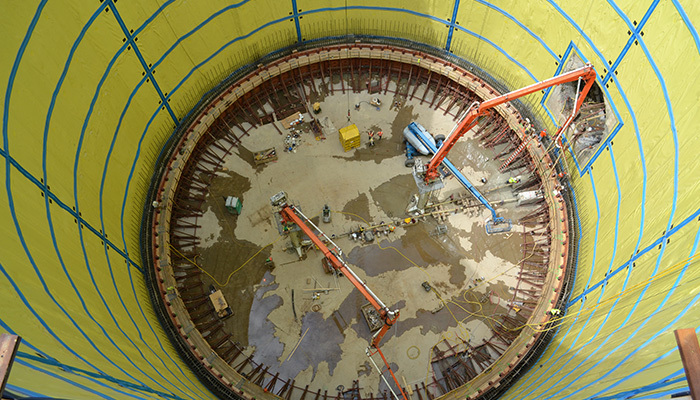 The tunnel is being constructed utilizing an earth pressure balance tunnel boring machine (EPBTBM).